Dubai: Dubai e-waste specialist Enviroserve has opened The Recycling Hub, the world’s largest e-waste recycling facility at a total cost of Dh120 million. 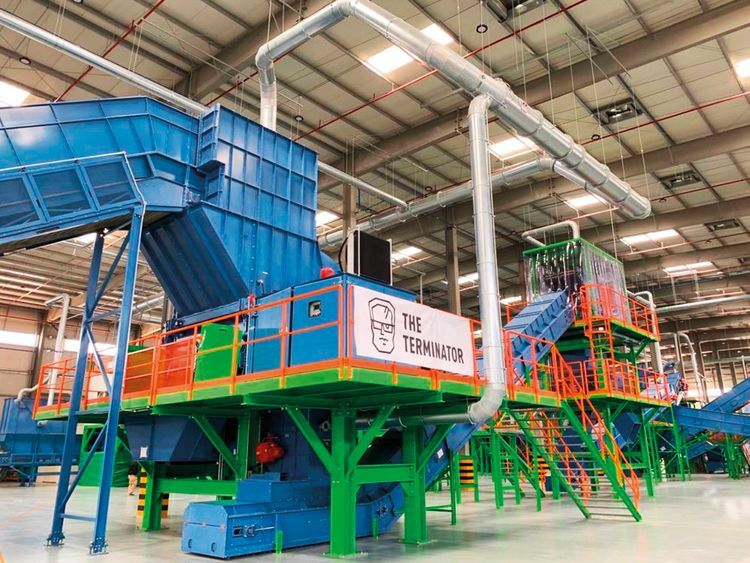 Located at Dubai Industrial Park, the 280,000 square-foot e-waste recycling plant, will process WEEE (Waste Electrical and Electronic Equipment), IT asset disposition (ITAD), refrigerant gas and specialised waste. The facility will utilise state-of-the-art reclamation technology, which surpasses EU standards for e-waste. The Recycling Hub has a processing capacity of 100,000 tonnes of total integrated waste per year, of which 39,000 tonnes is e-waste. The facility can process the entire range of WEEE from consumer and industrial to commercial and military. These include air conditioners, batteries, computers, household appliances, mobile phones, and even military avionics. The integrated facility will also recycle specialised waste material such as aerosol cans, light bulbs and FMCG products and is currently the only dedicated refrigerant gas reclaim facility in the UAE. The Dh120 million project is backed by the Swiss Government Export Finance Agency and represents one of the largest foreign direct investments in the field of environmental management to date in the UAE. Enviroserve’s green recycling facility will service international e-waste recycling efforts across Africa, Middle East and Caucasus. The launch event was attended by Shaikh Mohammad Bin Nahyan Bin Mubarak Al Nahyan; Engineer Saif Mohammad AlShara, Assistant Undersecretary for the Sustainable Communities Sector at the Ministry of Climate Change and Environment; Abdullah Belhoul, Chief Commercial Officer of the Tecom Group; and Saud Abu Al Shawareb, managing director of the Dubai Industrial Park, among others.